Resistance by native Caribs prevented colonization on Saint Vincent until 1719. Disputed between France and the United Kingdom for most of the 18th century, the island was ceded to the latter in 1783. Between 1960 and 1962, Saint Vincent and the Grenadines was a separate administrative unit of the Federation of the West Indies. Autonomy was granted in 1969 and independence in 1979.
name: "St. Vincent! Land So Beautiful!" Success of the economy hinges upon seasonal variations in agriculture, tourism, and construction activity as well as remittance inflows. Much of the workforce is employed in banana production and tourism, but persistent high unemployment has prompted many to leave the islands. This lower-middle-income country is vulnerable to natural disasters - tropical storms wiped out substantial portions of crops in 1994, 1995, and 2002. Floods and mudslides caused by unseasonable 2013 rainfall caused substantial damage to infrastructure, homes, and crops, which the World Bank estimated at US$112 million. In 2013, the islands had more than 200,000 tourist arrivals, mostly to the Grenadines. 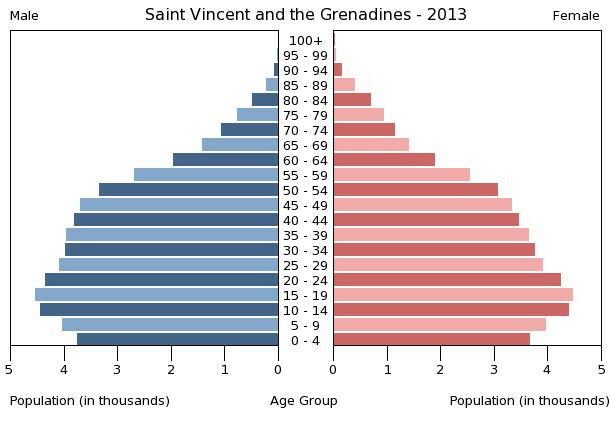 The arrival numbers represent a marginal increase from 2012 but remain 26% below St. Vincent's 2009 peak. Saint Vincent is home to a small offshore banking sector and has moved to adopt international regulatory standards. The government's ability to invest in social programs and respond to external shocks is constrained by its high public debt burden, which was 67% of GDP at the end of 2013. Weak recovery in the tourism and construction sectors will limit growth prospects in 2014. These are the 50 largest cities of Saint Vincent and the Grenadines ordered based on their number of inhabitants. Copyright © 2015 by Daniel Chirita. Last data update: January 2015. I know you are awesome, so why not make a donation using Paypal?